Because this episode is a little different than our regular format, I don’t have good show notes to post. If you have any questions about any of the projects we talked about, feel free to ask in the comments or in the episode thread in our Ravelry group. 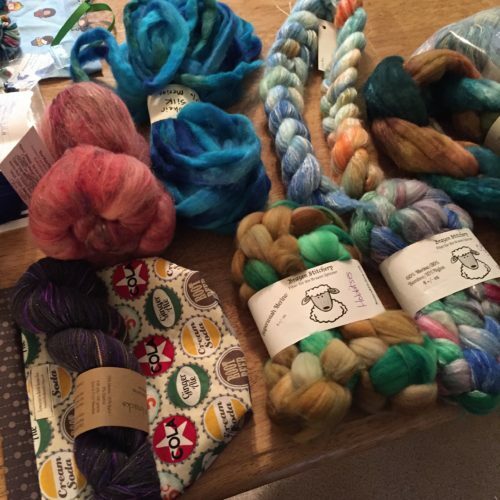 We talked about a lot of different vendors from the Yellow Rose Fiber Fiesta in this episode. To the best of my memory, these are the ones we mentioned. Again, if you have any questions, feel free to ask.